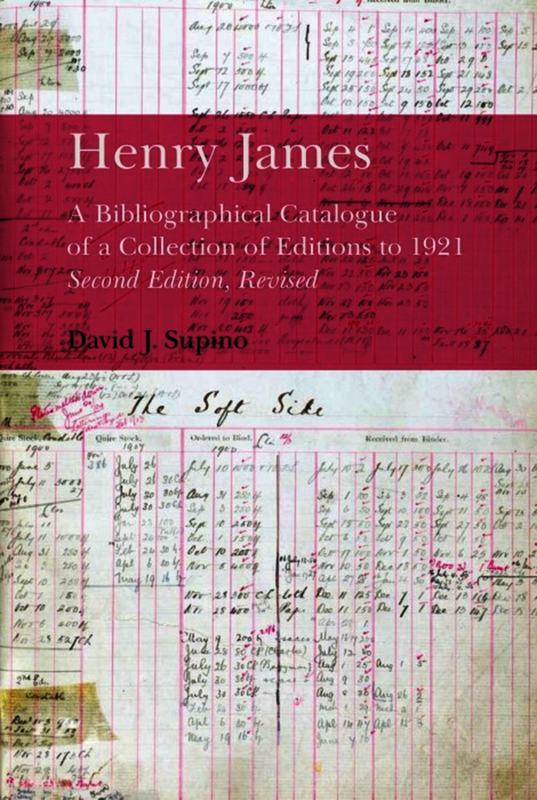 In this revised edition of his acclaimed Bibliographical Catalogue of the works of Henry James, David J. Supino has included a full description of each volume in his expanded collection, including transcription of the title page, collations, contents, binding, inserted ads, bookplates, binders’ and booksellers’ tickets, and a full description of dustjackets. Most importantly, he has added the complete printing history of most of James’s works, expanded commentary of the genesis of many of the editions, and an index of all of James’s short stories and tales, tracing their publishing history from first magazine publication through their many reprintings in book form. His book performs a genuine service to the history of the book in the late-Victorian and Edwardian eras, and will be an invaluable resource for scholars, collectors, rare-book dealers, and Henry James fans alike. New to this edition: - The inclusion of detailed printing history of the US and UK editions of nearly all of James's works obtained from publisher's archives. - A significant expansion of the first edition of this Catalogue, covering many more volumes. This revised edition catalogues almost 1000 volumes (as compared to 775 in the first edition), including the addition of some rarities, such as the Ashendene Press edition of Refugees in Chelsea, and copies of the very rare first impression of Daisy Miller: a Study. - The more precise identification of the editions of James's works, because of the information detailed in the printing histories. Review of the first edition: David J Supino's catalogue, with its unique scope and form, breaks much new ground for research into the arcane histories of the publication and revision of Henry James's works. It is moreover a significant contribution to our understanding of the book trade in James's time. Supino's attentiveness to details will be deeply appreciated not only by scholars of Henry James but by readers interested in the history of the book trade. In this invaluable resource for bibliophiles, collectors and James scholars, Supino proves his merit as a bibliographer of the first order. Following highly successful careers in law and banking in the US and UK, David Supino now works as a bibliographer.